I documented all of my landfill contribution for the year 2009. There is a little write-up of the project and photos of all my trash on my Landfill page. The short version of the story is that I generated 57 pounds of non-recyclable, non-compostable garbage in 2009. That’s a lot more than I had anticipated, and when I look at the photos I get embarrassed. Very little, if any, of that trash was necessary. Still, it’s a bit better than the average American’s four pounds per day, according to the Clean Air Council’s page on American waste. How do people do that? I’m not sure I could keep up that pace if I was getting paid to. That’s 1,460 pounds per person per year. Canadians are whupping us here, by a lot. All of the estimates I came across for Canadian landfill per person per year were less than half of that. Even in Alberta. Reanna and I got engaged on January 3, 2010. I’m so happy! Here are a couple of photos (taken by Maya) from our recent trip to Joshua Tree. Reanna made the quilt in the second photograph. It was my Christmas present. 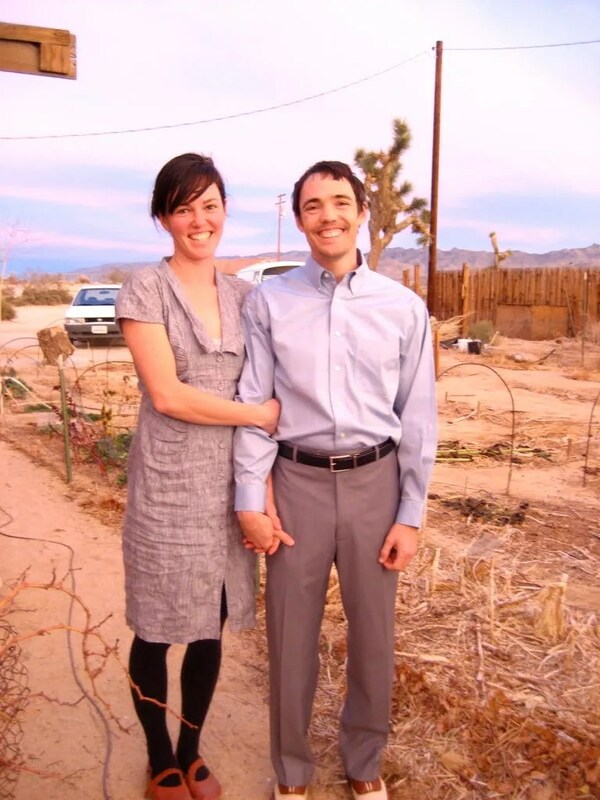 I’m back from a wonderful vacation with Reanna and my family in Joshua Tree and hunkering down for my winter term. I’ve heard that my last term had the most intense workload of the program, but now that I’ve compiled the list of reading and assignments, I wonder if that’s true, especially considering that we have our comp exams the first week of spring term, which includes writing four 6-8 page papers from memory. I’m thinking of ways to take it easier on myself this term because I lost some of my near-focus vision during fall term and I’m not cool with that. (Yes, I was taking breaks, looking up frequently etc. Reading 30 hours a week is reading 30 hours a week.) Anyway, here’s my reading and writing list for the next 10 weeks. The number codes are for the classes: 610 is my second Family Models class, 620 is my Psychopathology (read DSM and deconstruction of such) class, 621 is Professional and Ethical Issues in Family Therapy, and 632 is Medical Family Therapy. I’m excited about all of them.